My name is Skye, and I am eleven years old. I belong to Riverside Reflections, which is a baton twirling team. My mum teaches us how to twirl, and sets our routines for us. She started twirling when she was five years old, which is quite a long time ago!! I started doing it properly when I was about five. If you don’t know what twirling is, I’ll try to explain. A baton is a metal stick that is weighted at both ends, and has rubber to cover these ends. It is quite heavy, and hurts if it hits you, so you have to practise lots so you don’t drop it on your head! Twirling involves doing lots of things with the baton, such as rolling it round different parts of your body, throwing it into the air, and doing various things when it’s in the air, such as turns or dance movements, and contact material, which is things like finger twirls and loops. To be a great twirler you need to be good at dance and gymnastics, as well as being able to do difficult twirls. We take part in displays and competitions, and I have won lots of trophies. I compete as an individual and as part of the team. This year I was lucky enough to go to TwirlMania, which takes place in Florida every year. Twirlers from all over the world take part in this competition, so I was delighted when I got a third place medal in the strut section. We also got to parade through Magic Kingdom in Disneyworld, so it was a fantastic experience. When we take part in competitions, we wear leotards. Some have skirts, but all are decorated with lots of sequins and crystals. It makes them look really sparkly and pretty. We wear dance tights, and jazz shoes. Most people wear their hair in a bun, so it’s out of the way, which makes it easier to twirl. 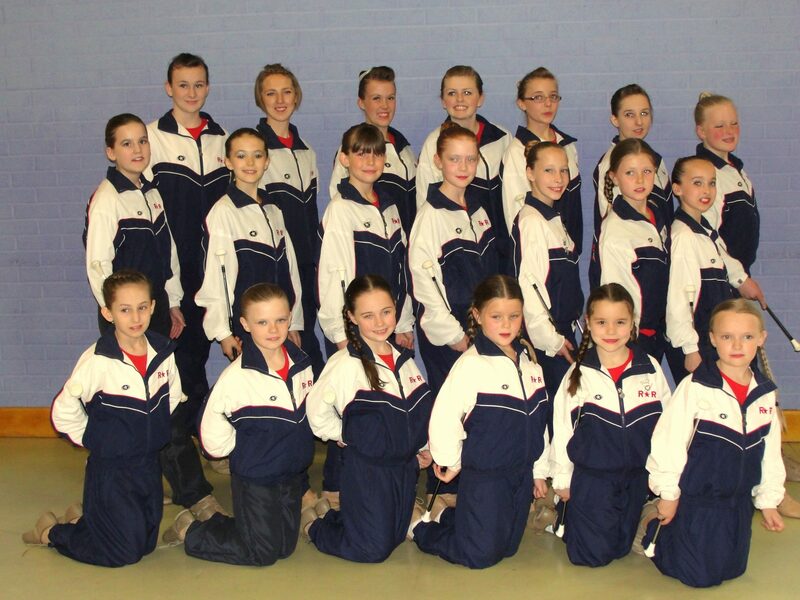 We take part in competitions all over the country, and also do theatrical shows and displays. My team will be involved in the celebrations when the Olympic torch comes through our borough (Bexley) and we have twirled in shows at Disneyland Paris. I love twirling, but the best bit is being with my friends. I have made lots of friends in my team, we are like a big family. It’s great to be part of a team, especially when you win, and it’s also great exercise.